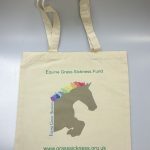 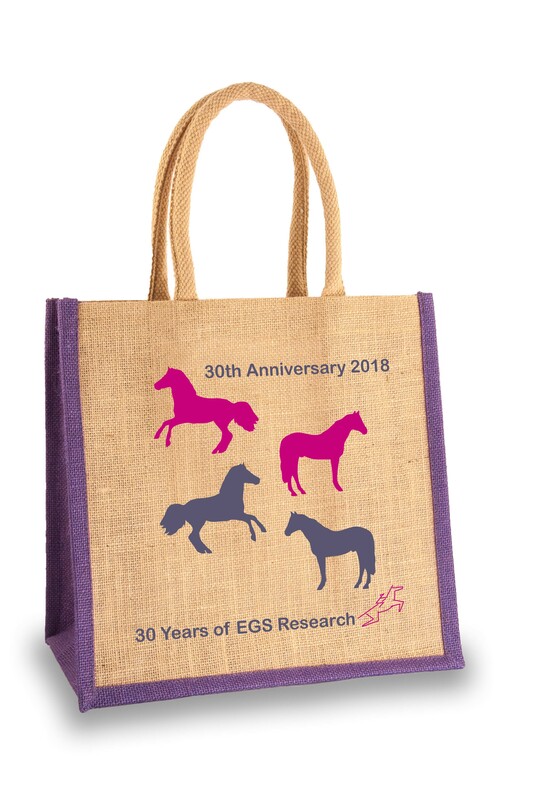 A gorgeous medium sized jute shopping bag adorned with a colourful horse print, designed exclusively for EGSF by Alexandra Lauren. 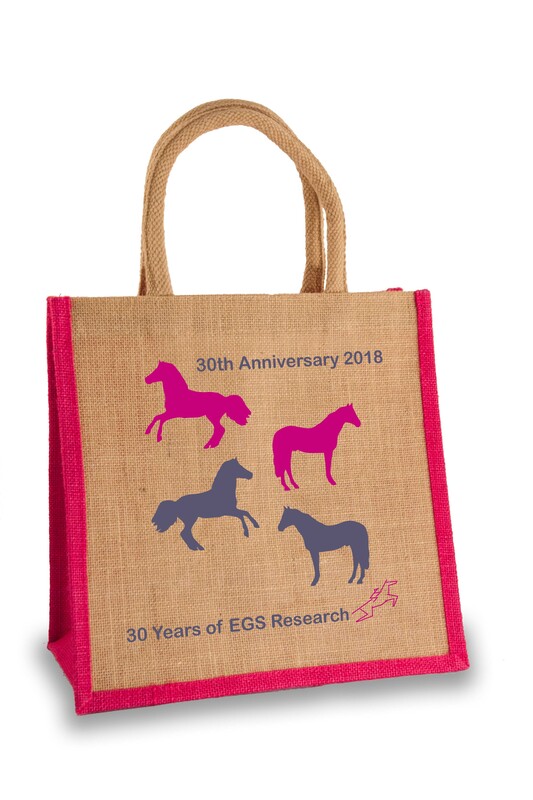 This bag is a limited edition to commemorate our 30th anniversary. 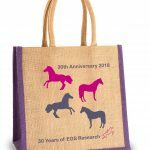 Available with pink or purple panels. 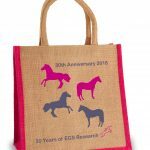 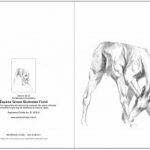 Be the first to review “EGSF Jute Bag, 30th Anniversary Limited Edition” Click here to cancel reply.